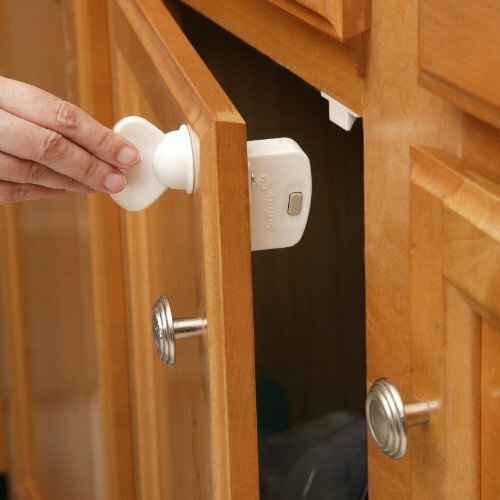 Ideal for the freezer, refrigerator, microwave and dishwasher. 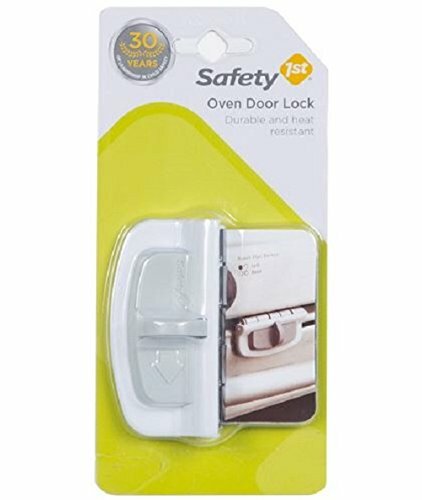 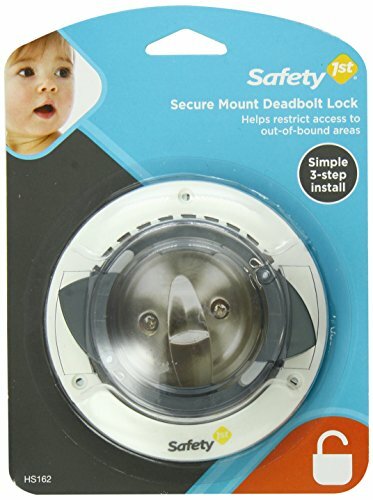 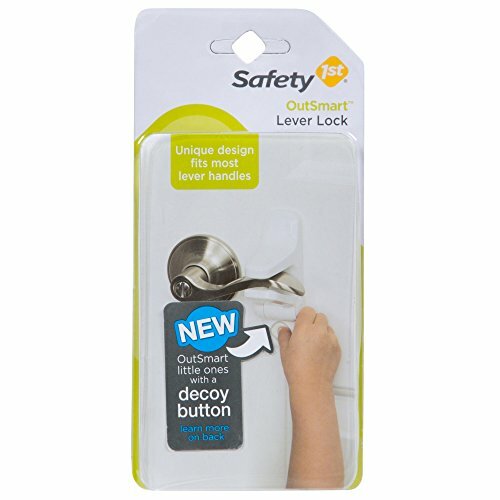 This latch helps keep children from accessing potentially dangerous appliances. 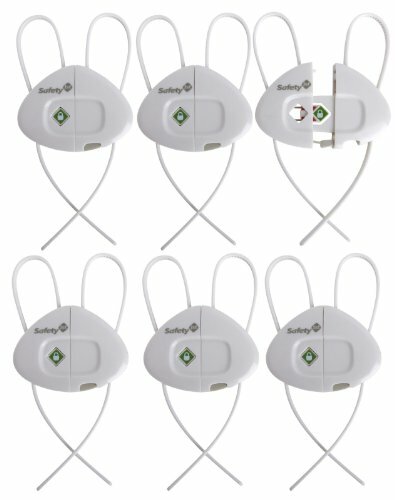 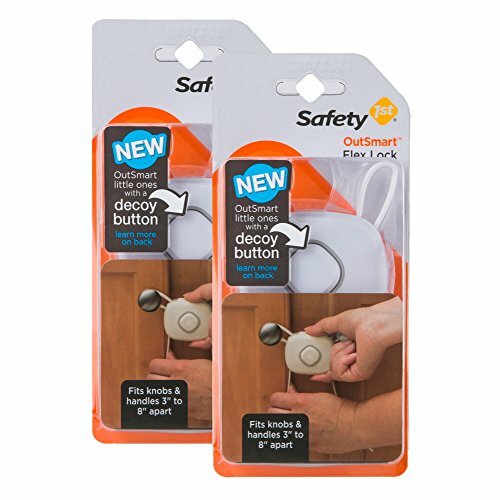 Safety 1st SecureTech cabinet lock, the SecureTech cabinet lock features a SecureTech indicator that lets you know when it's locked. 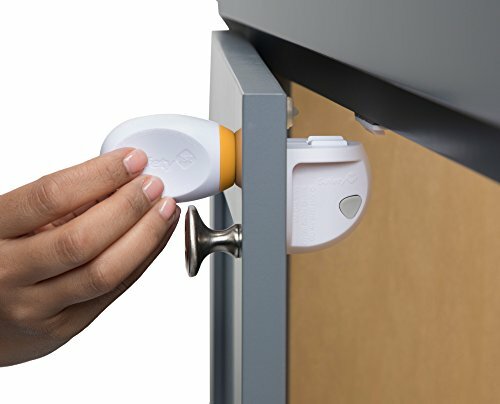 It's easy to remove with the push of a button. 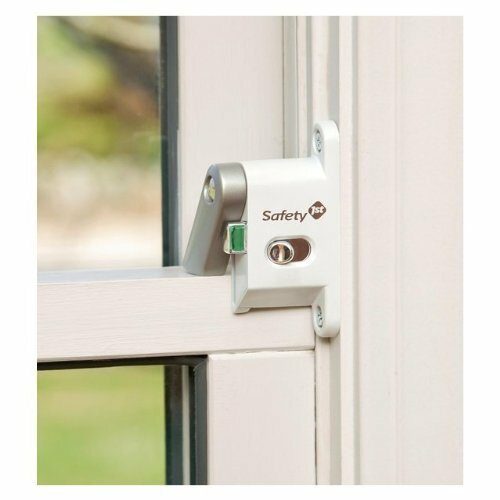 Rotating stop hangs over window track to prevent it from opening fully, slide enables disengagement for periods of non-use, securetech locking indicator.